The Sleepbox Classic Triple offers the most flexibility of all the range. Whilst boasting the largest of interior space, the Sleepbox Classic Triple comes with three Sleepbox ‘Signature’ single beds. Making it a perfect solution for families or a group of friends. Kick back and enjoy the warm, yet incredibly subtle surroundings that is the Classic Sleepbox Triple. 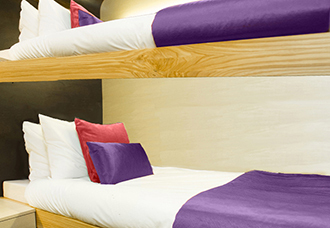 The natural beech interior whilst inviting and calm, boasts three sumptuous Sleepbox ‘signature’ beds accessed by a ladder at the end of the bed. The spacious surroundings gives the illusion of space beyond its conventional size. 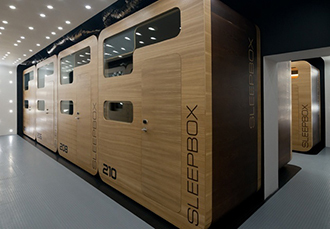 Perfection is at the heart of the Sleepbox ethos. 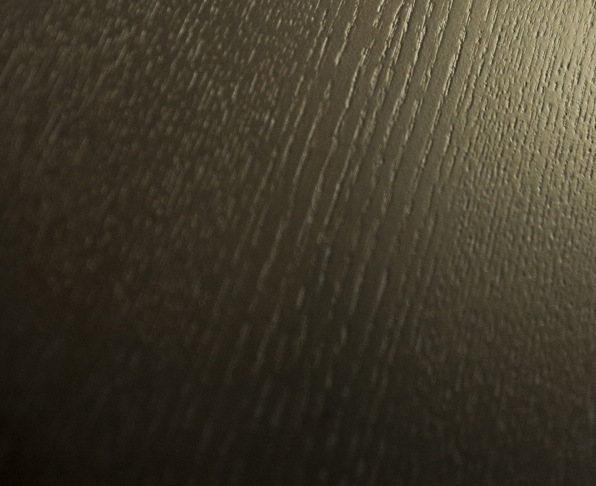 With every design advancement we make, the end game is always focused on perfection. Our award winning architects constantly fine tune every component to maximise efficiency, luxury and performance. The Sleepbox Classic Triple offers a seamless colour throughout including a natural blend of beech and mahogany interior as standard. Additional design options, colours and finishes available. The contrast of the sparkling white linen against the natural shades of wood allows for an inviting environment to sleep, rest and rejuvenate. 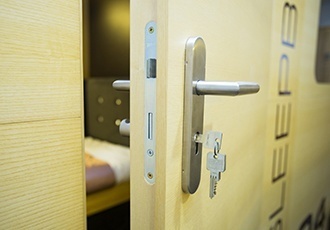 With the fast pace of life why not enjoy a few hours in a Sleepbox to relax and unwind. The Sleepbox Classic Triple offers the opportunity to rest and rejuvenate in a haven of tranquility. 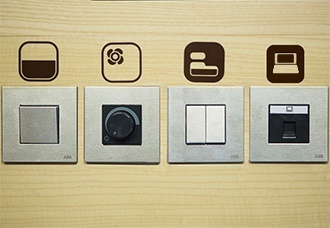 The conveniently located control panel can operate the integrated climatic control system, electric privacy blinds and state of the art LED dimmable lights to deliver your every comfort.